What are the current tools for EC2000 - Thanks for any links. Oh come on, you should read the Easy Code help file (SUPPORTED ASSEMBLERS topic). 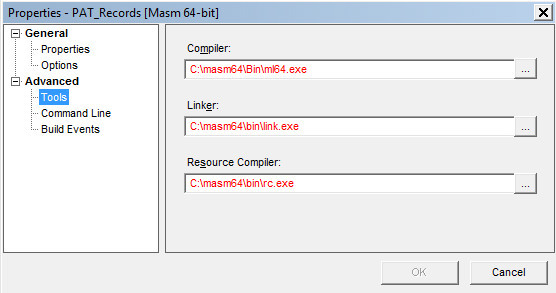 The masm64 assembler tools are included with the Microsoft Visual Studio (https://www.visualstudio.com). You have to download it, install it and take the assembler tools from its Bin folder. Yes, I know it's there, but I never to web installs, ever ! Thought there might be an exact location with only those files. I have a VS Express installed (manually) and found them in there.